City Living at it's finest! 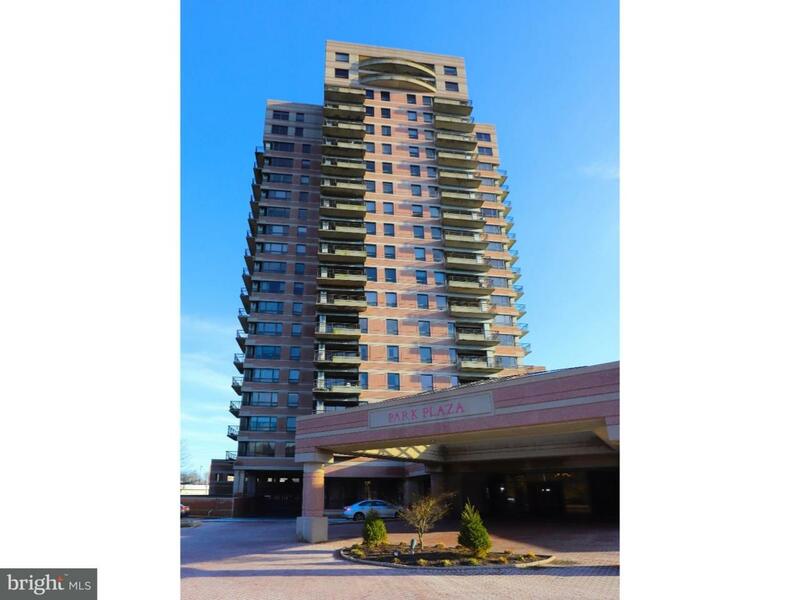 Welcome home to popular Park Plaza Condominiums! Here is a fantastically updated 2 Bedroom, 2 Bath Condo located on Floor 1, just a stroll down the hall to the awesome indoor swimming pool w/hot tub area & an outside patio space for soaking up the sun or relaxing with friends. Kitchen has Cherry wood cabinents, new gleaming Granite w/tiled backsplash, new appliances. The living & dining rooms w/Crown Molding flow nicely in to each other & being a corner location brings in lots of natural light throughout, a slider to a nice patio area has automatic vertical blinds. The Main Bathroom is impressive with an upscale new double sink Granite vanity, separate shower & recently reglazed tub, also new hardwood flooring, also offers a walk-in closet, custom built-in Cherry armoire, 2nd closet & linen closet. The 2nd bedroom has new wood floors & has a nice sized closet. Double doors lead into a spacious Main Bedroom with new hardwood floors. Brand New Heater/AC unit! Laundry area. Most rooms recently painted. Enjoy walking, running or cycling with easy access to adjacent Brandywine Park & walking distance to Trolley Square, where you will enjoy restaurants, coffee shops, grocery & pharmacy stores. Carefree living with 24 hour concierge service, underground parking w/1 parking spot, security building, fitness room, lovely lobby area for greeting guests. Welcome Spring with this fantastic, updated condo for your new home! No Pets Allowed Policy. Inclusions Refrigerator Washer Dryer "As-Is"